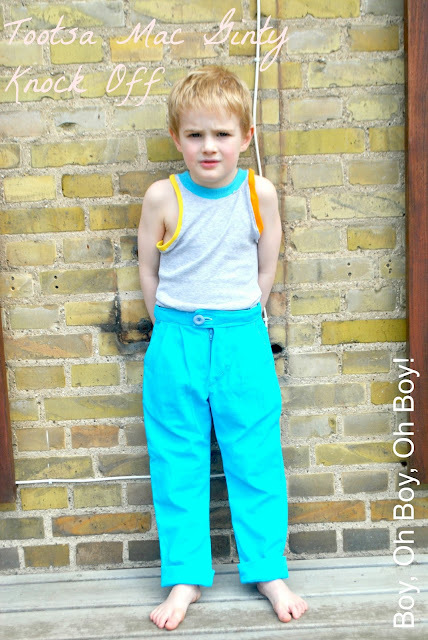 Knock it Off - Boy, Oh Boy, Oh Boy! and a Giveaway! To wrap things up, how about an awesome giveaway to celebrate the end of another Knock it Off series? I'm super excited about this one, not only because I know it's something you'll love to win, but also because the talented lady behind these patterns is also a personal friend (yes, in REAL life)!! Tina and I met back in the 90s when we attended the same college, and after that, our family had the privilege of attending the same church where her husband pastored, not only in our home province British Columbia, but then again here in Ontario. 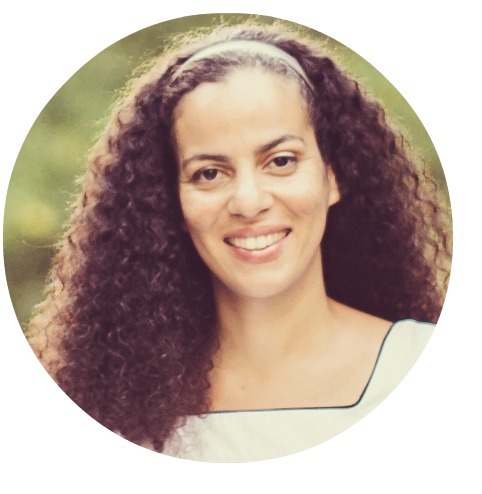 She's one of the few non-online friends I have who shares a real passion for the handmade, and you'd be hard-pressed to find someone as kind and considerate as Tina. 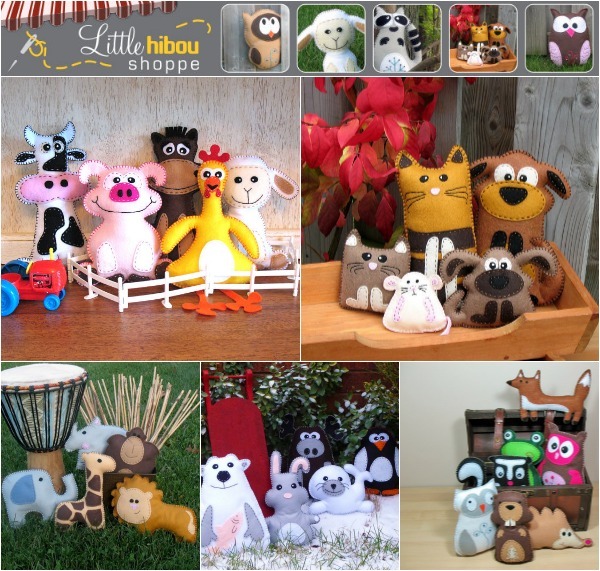 The Little Hibou Shoppe was established several years ago, providing simple to follow, fully illustrated patterns for soft and special handmade plush toys, nursery decor, and treasured gifts. 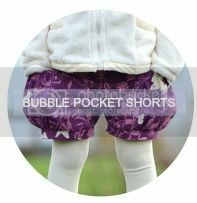 They are perfect for the experienced seamstress who needs to whip up a set of stuffies quickly, or for the beginner who wants the satisfaction of creating a professional-looking treasure that's easy-to-make. Personally, I look forward to my children being old enough to learn to sew, because after learning a few simple stitches, I think these are exactly the type of project they would love to make. And the best part is, Tina is generously offering THREE full sets of patterns to three lucky E&E readers! Use Rafflecopter below for four chances to win. And check out the new Little Stuff blog (there are some great freebies!) 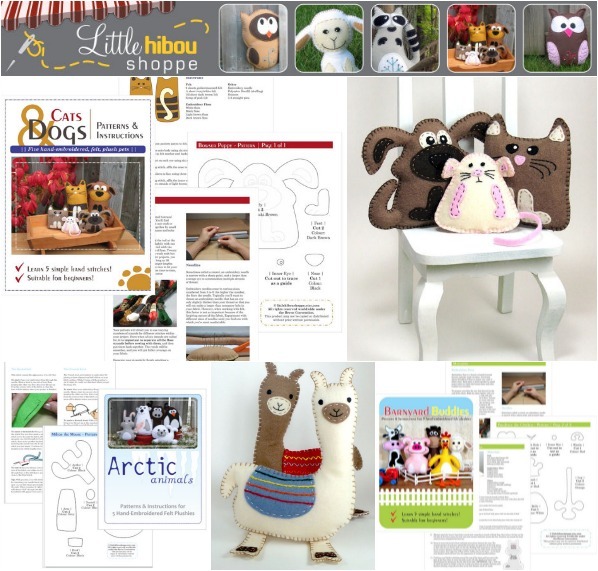 and the Little Llama Shoppe (digital scrapbook paper and paper craft printables), too! 29 comments on "Knock it Off - Boy, Oh Boy, Oh Boy! 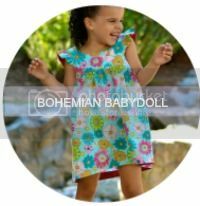 and a Giveaway!" I love it. I was trying to figure out what I was going to use with my skull n bones camo fabric and this would be perfect for it. Thanks! I would definitely have to pick the cats and dogs set for my daughter who loves cats. Barnyard buddies looks pretty neat too. So hard to decide between the woodland creatures and the Safari critters...love them both! Thanks for the giveaway! I would love to win the woodland series. My kids are huge fans of foxes and owls. My daughter loves cats so I would definitely chose the Cats and Dogs package. I love the cute little farm animals! These are beyond adorable! I love the woodland critters, but it's a tricky choice as they are all so cute! I LOVE the Woodland set & the Arctic set!!! These are so cute I would love the farm animals or owls and foxes,but really they are all fabulous. I love the Woodland set! The fox and skunk are especially adorable. Such cute patterns! Thanks for the chance to win. son todos hermosos! pero definitivamente elijo el de la granja, ya que hace poco visitamos una granja y mis hijos quedaron fascinados con los animales! are all beautiful! but definitively I choose "the farm", since we visit a farm and my children stayed fascinated with the animals! I want the woodland animals! Fox and beaver and skunk! So cute. I would pick the Arctic animals. Thanks for the chance to win! Oh my goodness! Such cuteness! Adorable. Thanks for the chance to win. The farmhouse animals are so cute! This would be my chance to make my first softy! SO cute, I am in doubt between the artic animals or the farm animals! Thanks for the chance! I like to woodland creatures! So cute! 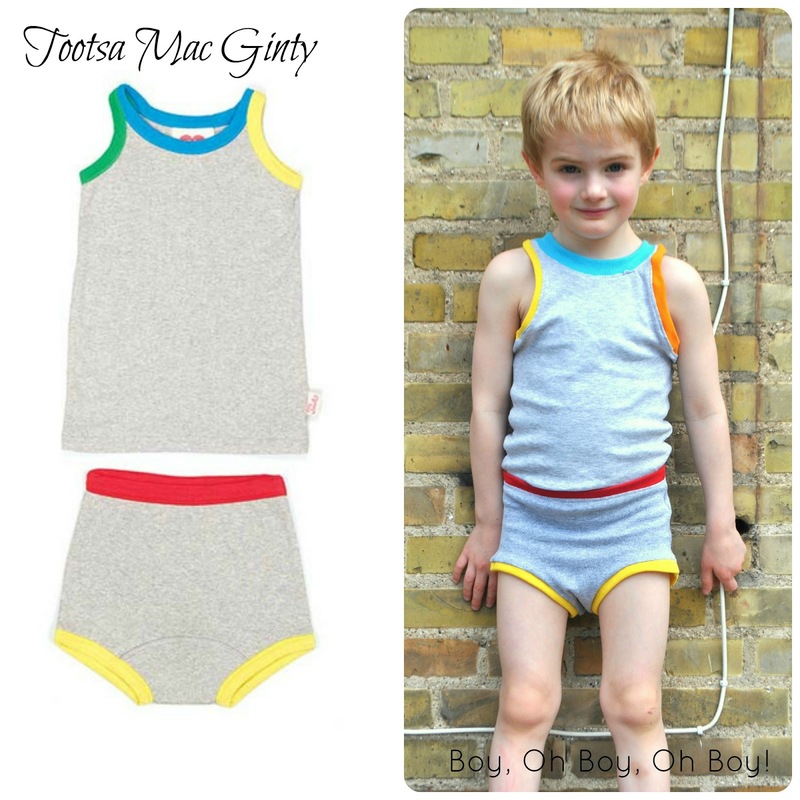 the link for the knock off doesn't work, the real link has an extra set of numbers at the end... http://www.boyohboyohboycrafts.com/2013/05/knock-it-off-tootsa-mac-ginty_31.html Just thought I'd let you know! Wanted to grab it and pin it before I forgot, ha.